A reliable source for Cooling Towers information and a resource for accessing leading Cooling Towers and suppliers. Cooling towers, also known as heat rejection devices, are systems that remove heat from fluids like water, in order to provide cool fluids to controlled environments. Cooling towers are typically used to cool down water or other fluids that have been heated during an industrial manufacturing process or some similar process. Oil refineries, dry cleaners, steel mills, food and beverage production facilities, nuclear power plants, and petrochemical facilities all use variations of cooling tower systems. Each of these plants or facilities produces high temperatures and gives off a volume of waste heat that makes a cooling tower necessary, however large or small it may be. Cooling Towers Cooling towers, also known as heat rejection devices, are systems that remove heat from fluids like water, in order to provide cool fluids to controlled environments. Cooling towers are typically used to cool down water or other fluids that have been heated during an industrial manufacturing process or some similar process. Our cooling towers are heat-transfer units, used to remove heat from any water cooled system. They aid in industries such as plastics, dry cleaning, and more, rely on cooling towers to remove heat from environment or equipment. 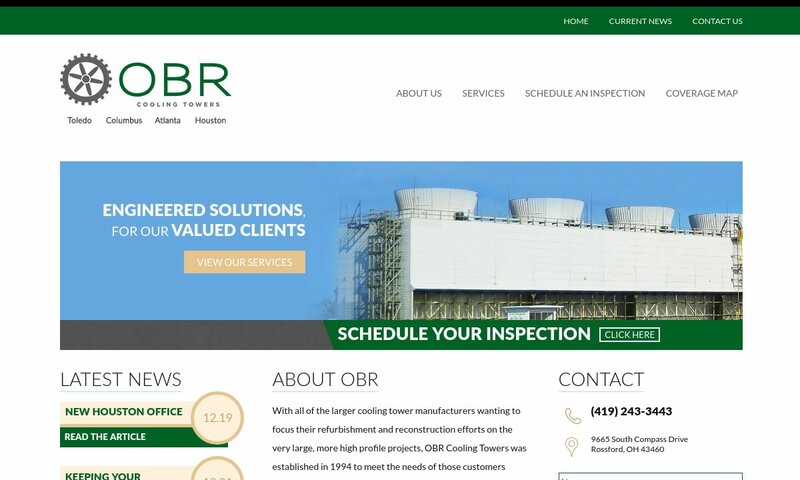 Since 1994, OBR Cooling Towers has been an industry leader, exceeding customer expectations in structural repair, replacement parts, or a newly constructed cooling tower system in fiberglass, concrete, wood, or steel. 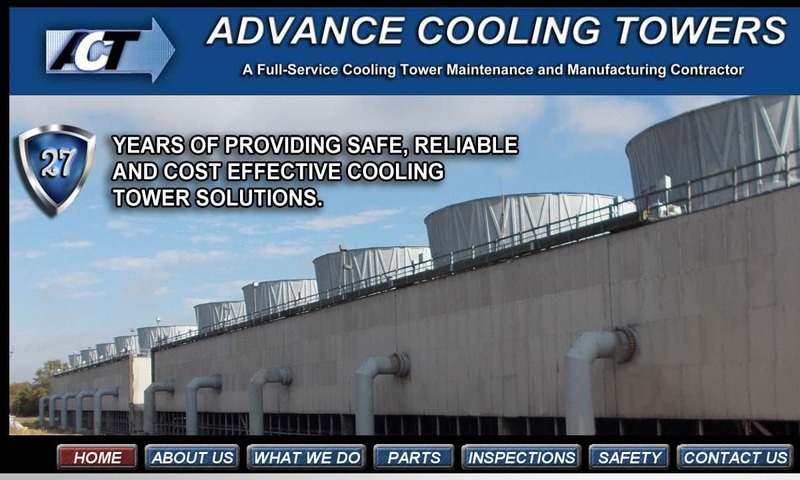 For over 30 years, Advance Cooling Towers has built a national reputation as a provider of high-quality cooling towers, and has succeeded in providing solutions that are cost-effective, reliable, and tailored to your needs. 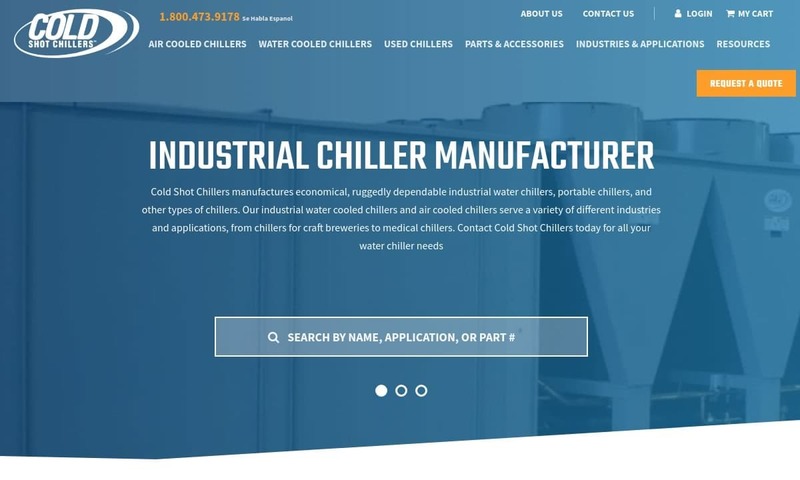 At Cold Shot Chillers, we create a number of chilling systems, including cooling towers. Our products are designed for durability and cost effectiveness. Our engineers can easily custom build any machine to fit the needs of a particular application. We are committed to providing you with the best cooling towers on the market. Our towers have an induced draft counter flow design and we can engineer these product with either a side or bottom outlet based on your qualifications. People have been utilizing the concept behind tower cooling since antiquity. Ancient peoples of Rome, Greece, the Middle East and the Americas alike used water to evaporate heat and relieve them of discomfort caused by high temperatures. Some, for example, placed porous water jugs in their windows, where the water would capture the heat and let through cooled air. So, the idea of air conditioning is quite old. However, people did not manipulate the concept mechanically until the Industrial Revolution, starting around 1819. That year, William Warrel and Robert Salmon received a British patent for their “evaporative cooler,” which was meant to generally cool air. In 1840, French physicist Jean Claude Eugène Péclet designed an extremely early version of a modern evaporative cooler. Early evaporative coolers like his were used as evaporative condensers for steam engines. 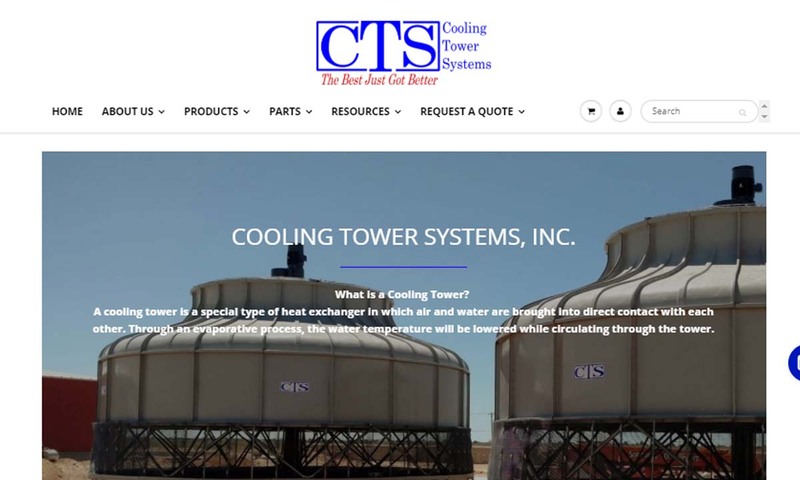 Cooling Tower – Cooling Tower Systems, Inc. Despite the attempts of these inventors and others, cooling towers didn’t really become viable until the turn of the 20th century. American inventors began rapidly patenting versions of the cooling tower, which they described in a variety of different ways. Some names used in US patents at that time included drip coolers, wet boxes, swamp coolers, and desert coolers. The first modern cooling towers used direct cooling with the assistance of tools like fans, sprayers, nozzles, and troughs. As the years went on, manufacturers replaced these apparati with motorized fans, circulating pumps and the like. Today, cooling towers are available in a number of different configurations. Cooling towers work by transferring heat from system water to the air, thereby cooling the water. How exactly this works depends on the system. In some systems, for example, the heated water is sprayed into the tower onto a wet deck surface. Air then flows by the water, absorbing the heat that comes off of it. The cooled water can then be released back into the facility. The airflow can be created by fans or draft towers which guide the warm air upwards because it is less dense. Some cooling towers have induced draft towers that create a vacuum on one end of the tower to cause the air to move. The main types of cooling towers are open loop towers, closed loop towers, counter-flow systems, and cross flow systems. Other types include HVAC cooling towers, industrial cooling towers, evaporative cooling towers, water cooling towers, and chiller cooling towers. Open loop towers, also known as open circuit cooling towers, distribute water internally, where it encounters cooling air directly. The air absorbs the heat from the water and exits into the atmosphere as the now cool air falls into a collection basin. Closed loop tower systems are designed to prevent contact between the cooling agent and the liquid being cooled. This means the liquid can be recirculated without being contaminated. It also means that the coolant and the material don’t need to be compatible with each other since they never make contact. Counter-flow tower systems work using opposing air flows and water flows. The air moves up, absorbing the water’s heat as the water moves down. Cross flow cooling towers work using perpendicular air flows and water flows. This time, the air flows sideways as the water flows down. HVAC cooling towers are mostly found in large buildings, where they are used to keep the interior temperature at a comfortable level. Industrial cooling towers are much more durable than an HVAC unit because they have to operate year-round and cool much larger volumes of liquid. Evaporative and water cooling towers rely on evaporation to release heat into the atmosphere. They also require a local water source to remain efficient. Rivers, wells, seas, and lakes are all acceptable sources of cool water for evaporation and water cooling towers. Chiller cooling towers have added refrigerant parts to cool fluid to an even lower temperature. In general, cooling towers contain a wet deck, an air inlet and an air outlet port, intake louvers, a cool water basin, a fill space, mechanical instrumentation, fans, drift eliminators, and a shell. Wet decks, also known as water distribution decks, consist of a set of nozzles that spray water onto fill material as it is being cooled. The goal of this is to maximize heat transfer. Air inlet ports and air outlet ports are areas of entry and exits for air used in the tower. Intake louvers are used to equalize the air flowing into the fill and to keep water inside the tower. Cool water basins are used to collect cooled water after it has been discharged from the tower. It is located at the base of the tower. Fill space is a corrugated or honeycomb patterned area made from PP or PVC. This is the main area in which cool air pulls heat from hot water. Mechanical instrumentation includes driveshafts, gearboxes, fans, sensors, pumps, connectors, cables, etc. Elements such as these help the system run properly and efficiently. Fans are an important component of those cooling towers without a natural draft system. Fans provide not only increased cooling, but also a level of drying that keeps the system from developing bad bacteria, mildew or mold on perpetually wet surfaces. Fans may be axial or centrifugal. Fans may also hang overhead the system, work within it, or be installed below it. Drift eliminators help cooling towers be more efficient and environmentally friendly by capturing air stream water droplets before they escape into the environment as vapor. Shells, also known as cases, are enclosures that hold liquid as it waits to recirculate through the system. Made from galvanized steel, ceramic, chemically treated wood, reinforced plastic or aluminum, shells also provide structural support in the internal elements and fan system of the tower. Water is the liquid of choice for industrial cooling because of its chemical properties. Water actually has a high heat capacity and more thermal conductivity than most liquids. Releasing water back into the atmosphere results in it eventually being absorbed into the water cycle once again. When designing cooling towers, manufacturers consider several important factors. These include available space, available water sources, electrical supply, materials and structural capacity. They also consider budget, as the design of a cooling tower plays an important part in its cost and efficiency during operation. 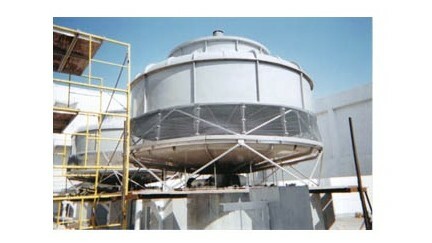 Based on your specifications, suppliers can offer you standard or custom cooling towers. Custom cooling towers are an excellent option if you are looking to meet specific volume specifications and/or account for the environment in which the tower will be used. For example, manufacturers often create custom tooling towers to compensate for elements that could hamper performance such as piping, electrical sources, capacity, etc. To make cooling towers fit your application, manufacturers offer cooling towers made using a number of different materials in a wide range of sizes. Manufacturers build cooling towers using materials such as reinforced glass like fiberglass, stainless steel, ceramic, plastic, and aluminum. For outdoor applications, fiberglass is ideal because of it is durability in harsh weather, and it’s lightweight and resistant to corrosion. Depending on the application, cool towers can be as small as a rooftop unit to as large as a 400-foot structure. If your cooling tower is to work in a moist, high temperature environment, manufacturers will certainly include a fan (or several fans) in the design. Fans are important in environments such as these as they make the environment less desirable for microorganisms that would otherwise settle down there. Fans move not only through the water, but also the air in the system. The best quality assurance for your cooling tower is the knowledge that is has been certified or approved per the standards of a few important standards organizations. One of the them is ASME (The American Society of Mechanical Engineers) and the other is CTI (Cooling Technology Institute). Both of these associations offer standards and advice on the performance and safety testing of cooling towers. In addition, in the United States, your cooling towers must meet the standards of the EPA (Environmental Protection Agency). Per the Clean Air Act Amendments of 1990, the EPA enforces rules designed to reduce the emissions produced by industrial cooling towers. In addition to certifications and testing recommendations from ASME, CTI and the EPA, you should make sure that your cooling tower meets all the standard requirements of your industry, whether that be FDA standards, Mil-Specs or something else. If your cooling tower will be using combustible materials or is any danger of catching or causing a fire, it must meet the standard requirements of NFPA (National Fire Protection Association) 214. It is important that you regularly check your cooling tower for performance, efficiency and general safety. For example, if your system works using evaporation cooling, both ASME and CTI recommend you measure your tower effectiveness using wet bulb temperatures. Wet bulb temperature is the lowest temperature to which water in your system can be cooled. It is measured with a psychrometer. You can tell how efficiently your system is running by using the wet bulb temperature of air moving into the intake port. You use it to help calculate how long it takes water evaporation in your system (the rate of heat transfer). Learn more about how to perform these measurements using guidelines provided by ASME or CTI. For the best results possible, you need to work with an experienced, trustworthy and intuitive cooling tower manufacturer. 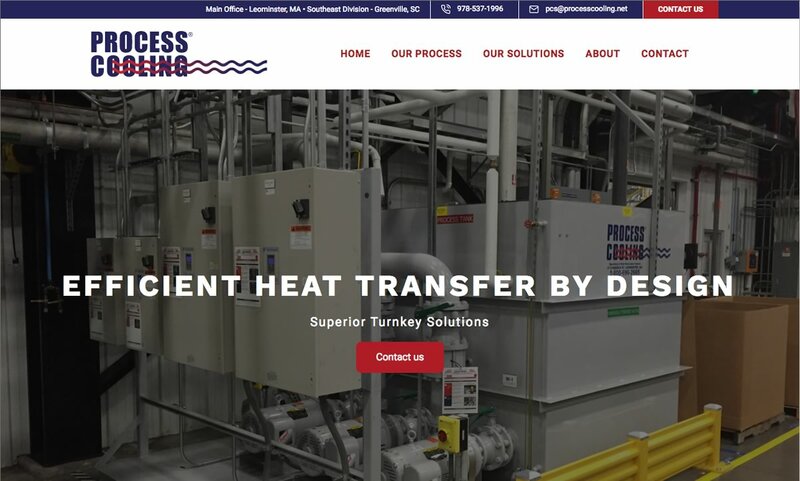 To jumpstart the process of finding that manufacturer, we have put together a list of industry-leading, vetted custom cooling tower manufacturers. You will find their information, complete with interaction profiles, interspersed with these information paragraphs. 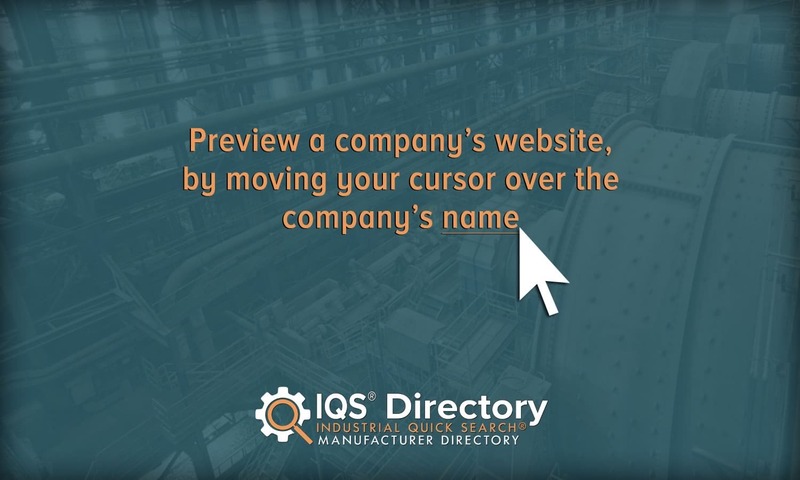 The best way to figure out which manufacturer is best for you is to start by putting a list together of your specifications, questions and concerns. Do not forget to include your timeline, your budget, your standard requirements, your delivery preferences, if you require installation support, and the level of post-installation/delivery support you require. Once you’ve got your list together, you can begin your search for a supplier in earnest. Browse those we have listed on this page. Cross reference your specifications list frequently and pick out three or four who appear to offer the services you’re looking for. Then, reach out to each of them to discuss your needs. As you correspond with them, make sure to note their general demeanor. Remember, customer service is important. After you have done that, compare and contrast your conversations, and select the cooling tower manufacturer you believe is best for you. Good luck!